A Plymouth business has come up with an innovative way for wannabe boaters to get on the water this summer, and enjoy the exclusive use of a new motorboat for less than £100 a day! Yacht Haven Quay, a Plymstock boatyard which is home to the UK’s largest ‘indoor marina’, has just launched a Boat Club – a low cost way to get afloat giving members shared access to a brand new motorboat. Manager Will Rahder says the idea came from the shared economy concept, led by the likes of AirBnB and Uber. “Everyone wants to enjoy being on the water, but modern trends show that ownership of boats is decreasing, much in the same way as cars and homes”, Will explains. 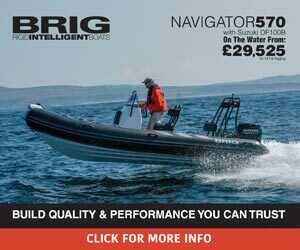 “So we decided to create a Boat Club where members can simply use a really high quality and versatile boat as they wish, and we’ll look after all the other elements that come with ownership such as maintenance, depreciation and storage”. Furthermore, in 2018 the boatyard celebrate their ten year anniversary with an environmentally-inspired boating festival weekend on 14th and 15th July. The festival, dubbed “Turning the Tide on Plymouth” includes a mass on-water litter pick and a pop-up festival hub with a range of eco-friendly marine products, new boats and the Boat Club’s Beneteau Barracuda. The Boat Club will also be on display at the Yealmpton Show on 25th July. With Plymouth having just experienced the hottest and driest June on record, and with forecasters saying this good weather is set to continue for several weeks to come, it seems like there’s never been a better time to get on the water.